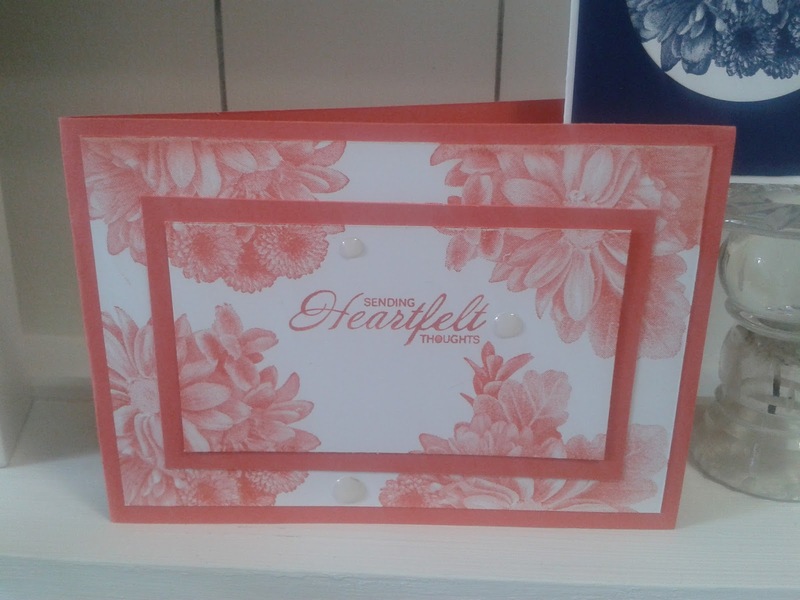 Since Christmas we have been using lots of the Sale a Bration sets in the card and a cuppa sessions on Tuesday mornings in The Secret Cafe. As today is the last day of Sale A Bration I thought I would show you the three cards , all using the same stamp set that my ladies thought was the best one. The peacock and lavender were a close second. 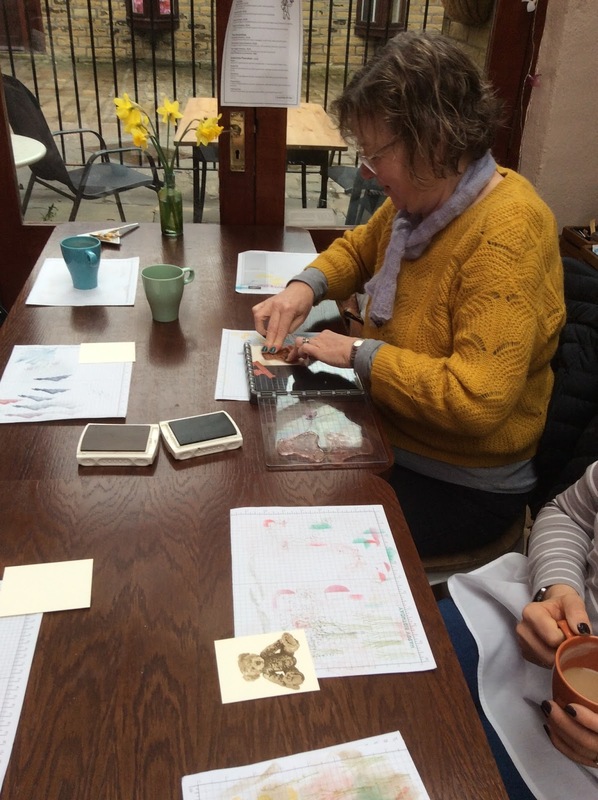 Project class is an all day class on the 21st April. It is usually the last weekend of the month but my youngest son who lives at the opposite end of the country is visiting for the weekend, so I have moved the workshop forward a week. It does mean that time scales are short. Booking for the class will close on April 13th. This is one of the fancy fold cards we will make, actually I am showing you two as I am offering the class as a male and and a female make. Check out the events, classes and workshop page. We will make 4 projects. I love this fancy fold. 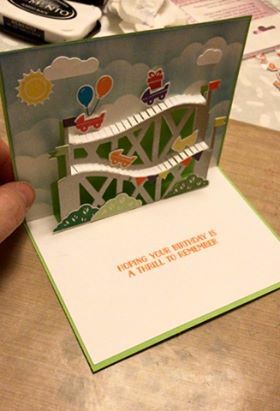 It is a statement card. Having so many layers it is also quite solid! 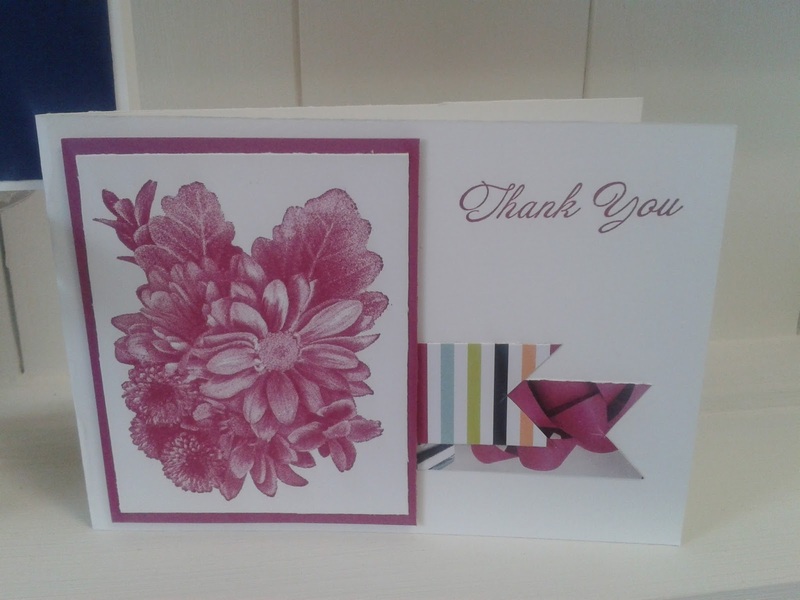 The pink and black card uses a couple of cards from the 'petal passion' Memories and More pack. I have used a few of these for my scrapbooking but I just don't tale enough photographs, I think it must be an age thing! 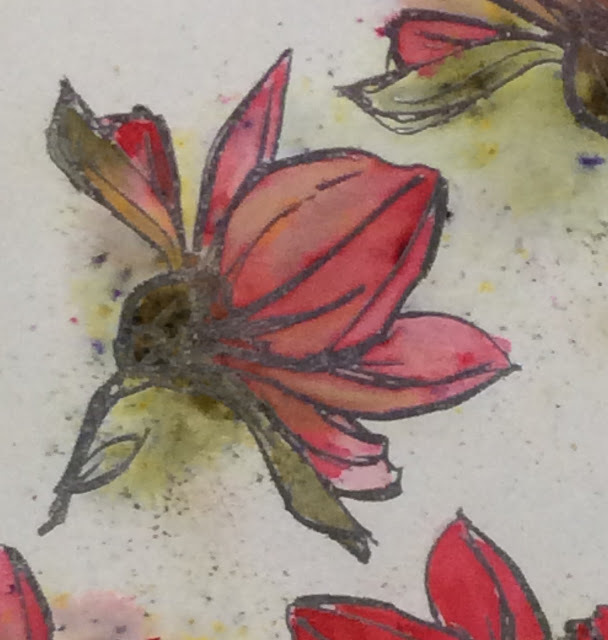 Anyway they work so well with the petal passion designer paper so are a good value for money item. There is a nack to making these so that they fold flat. But I have that sussed and I can give you some great hints and tips to be successful every time. Please check out the events page. Details on further makes for the project Saturday coming soon. The classes and events page has been updated with payment buttons, its taken some doing. So what is coming up. In April my theme for the month is the True Gentlemen suite. I love the papers, but then I always say that! The ribbon is corduroy and lovely and soft. The buttons, oh the buttons! The punch is an interesting shape and quite distinctive. 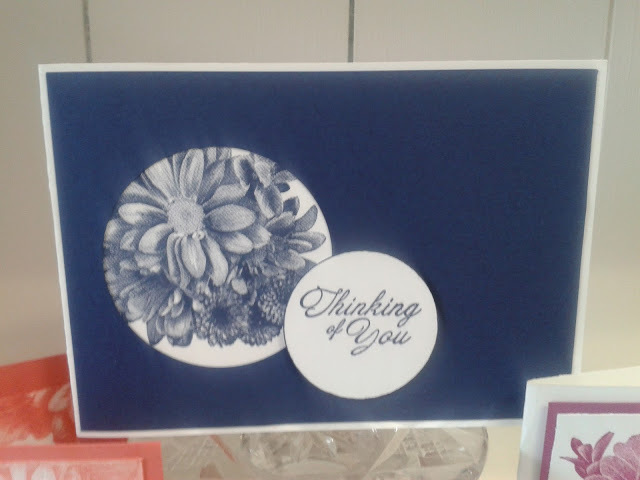 There are lots of sentiments in other stamp sets that fit in it so that makes it a worth while purchase. The sentiments in the stamp set are very on trend, particularly with the younger ones.....All in all a great suite. 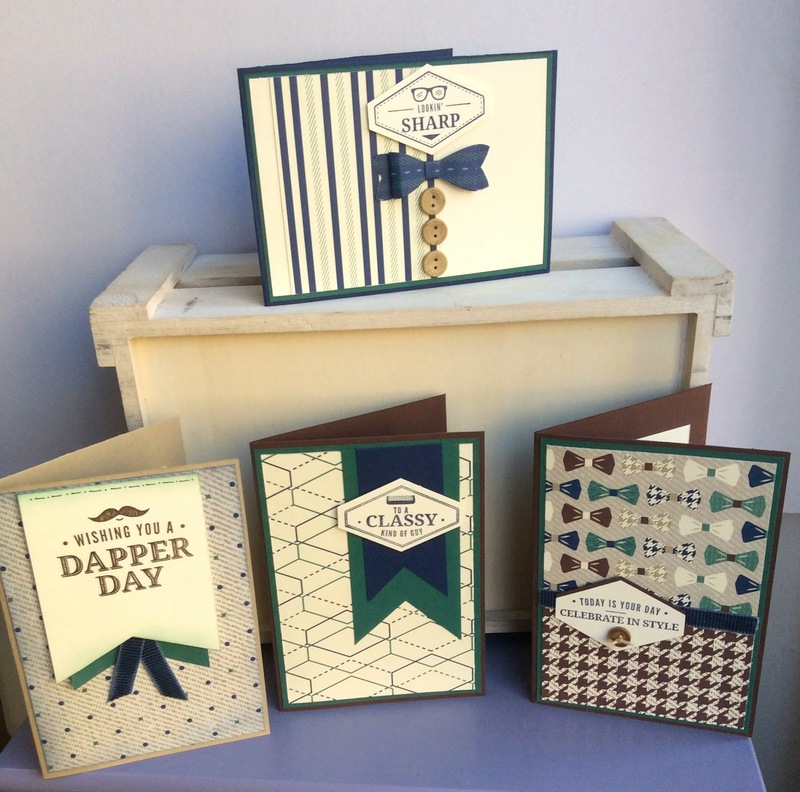 These four cards will be the Sweet and Simple class on Saturday 14th April - cards for men. 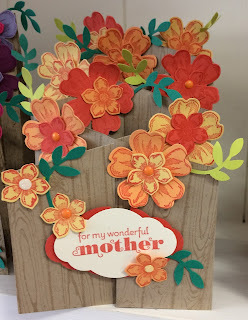 Often a difficult area to make cards for. The cards use most of the papers from the suit and most of the sentiments. This is a great beginners class. On Saturday 21st, this suite is the focus of the all day project class, but more of that another time. This suite is also Aprils parcel in the post. Check out the details on the tab above, ordering doesn't open until 9th April. But please do have a look. When you have had a browse and are ready to place your order use the hostess code RB9GBYFC before you shop. When shopping with me for orders over £30, those who use the hostess code, I will send a card and a gift in the post at the beginning of May as a thank you..... more lovely crafty goodies! Next Tuesday is the last afternoon class before the easter break. 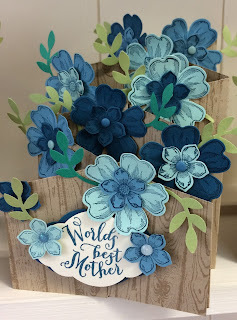 Its also the last Tuesday of the month so its 'anything but a card" We have created so many lovely projects over the 12 weeks since Christmas so I thought we would finish on a spring flourish. These are only sneek peeks I will show you the completed project next week. When you have had a browse and are ready to place your order use the hostess code before you shop. 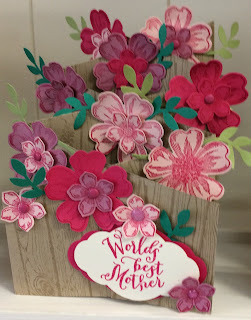 When shopping with me for orders over £30 please use the hostess code RB9GBYFC I will send a card and a gift in the post at the end of April as a thank you..... more lovely crafty goodies! Whilst surfing the net one day some weeks ago I came across a little pop up box done with a panda. I thought it was rathe rcute so saved it knowing that at some point I would have a go. Now boxes are not really my thing. You have to measure and cut accurately and mine never fit together well. I used the pdf tutorial by Twila Davis here This is her little box. The following are pictures of my first little box. I love this little mermaid. I have used the reed stamps from the magical mermaid stamp set then the mermaid and seahorses from the magical day set. Loved doing this and its such a cute size for mini eggs or a small gift. The way the boxes are made makes them quite substantial. 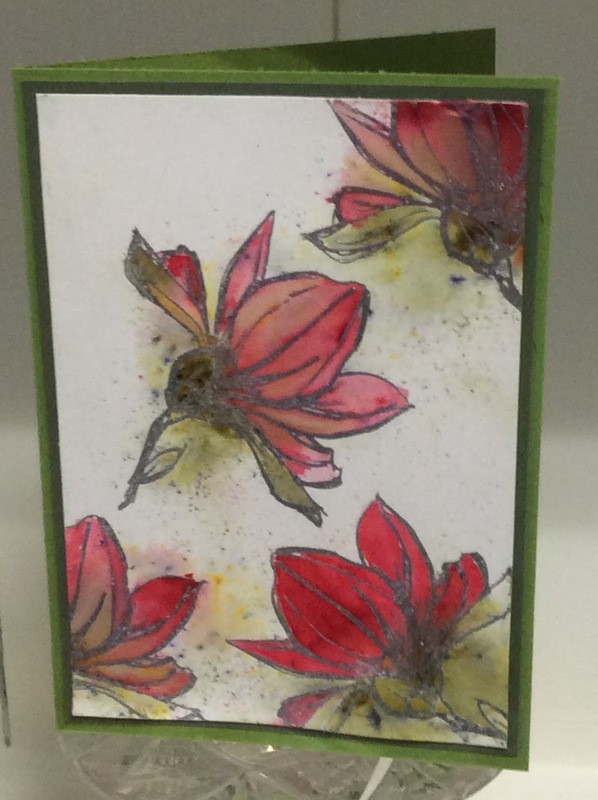 Twila used designer paper fro her box wrap, I have used card then added designer paper to the surfaces. Another way of making the box more robust. I'm sorry its been a week since my last blog. I just don't know where the time goes. I am in determined mode again.... determined to blog every day. I do make something everyday so it shouldn't be that difficult. 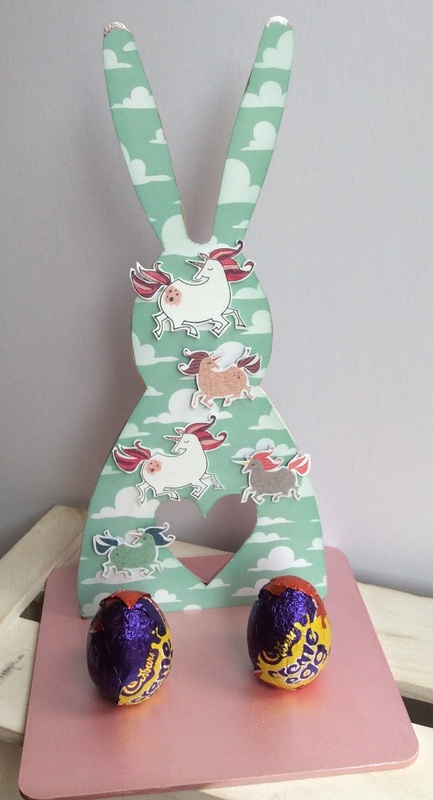 Today I have the last of my easter bunnies. I do like this one but prefer the other two. 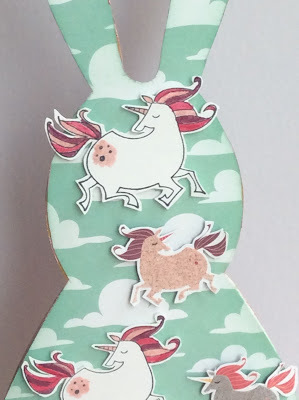 I have used the designer paper for the background rather than stamping but it has occurred to me since that I could use the wonderful glittering paste to create the cloud background so watch this space for an alternative unicorn bunny next week! For the unicorns two are hand-stamped and coloured the other three are cut from designer paper. The base and the rabbit are painted with pink shimmer paint. When you have had a browse and are ready to place your order use the hostess code RB9GBYFC before you shop. 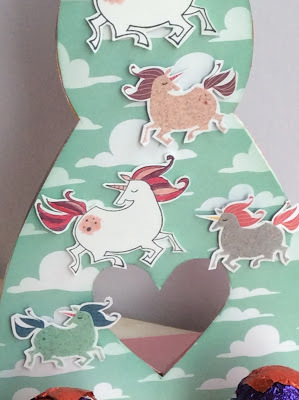 When shopping with me for orders over £30, those who use the hostess code, I will send a card and a gift in the post at the end of April as a thank you..... more lovely crafty goodies! Today its one for the girls, all underwater and mermaids. I just love a bit of daubing which is how I created the background. 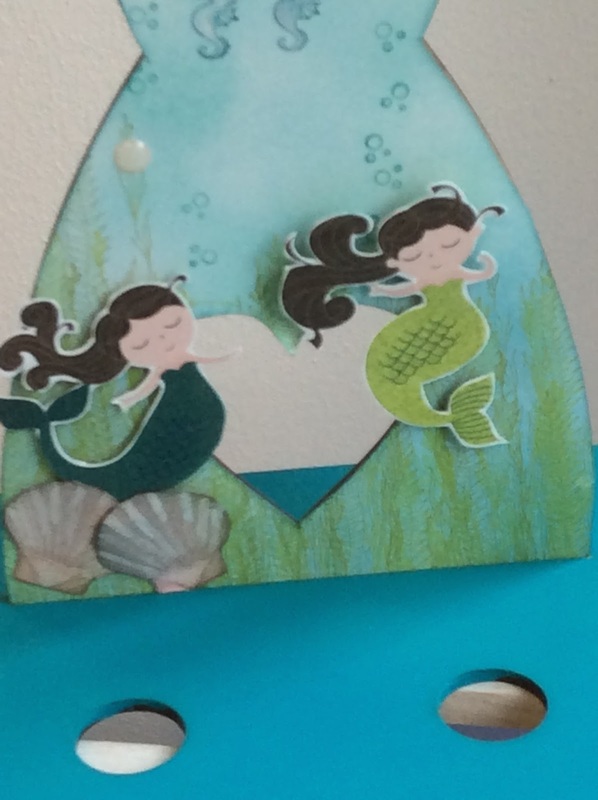 I have used the sea weeds stamp from Magical mermaid and I think I will use the mermaid stamp for another rabbit.. This is still experimenting which is what creativity is all about. 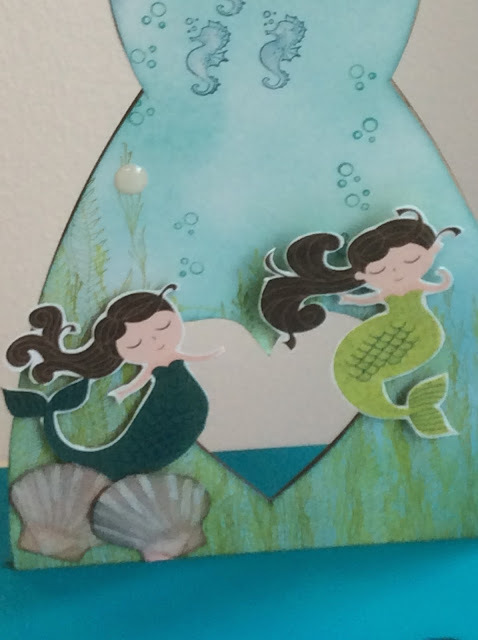 Once again I have fussy cut designer paper for the mermaids. The little sea horses are so cute. They do glitter as I have painted them with wink of stella. 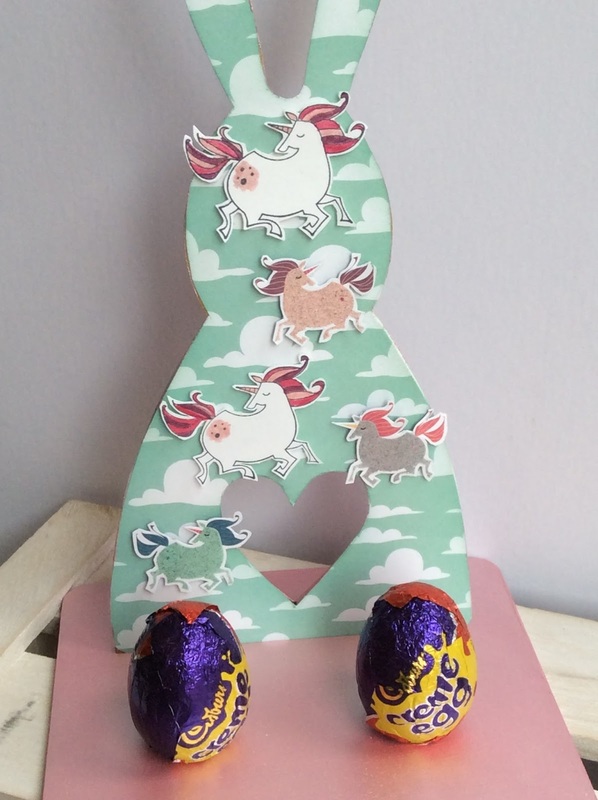 All you need to do is pop a couple of creame eggs or those kinder eggs on the two holes, what a lovely easter keepsake. I don't often do anything for Easter but when a friend bought the wooden rabbits to show me last year I knew exactly what I would do with it. So this year I bought 1/2 a dozen. 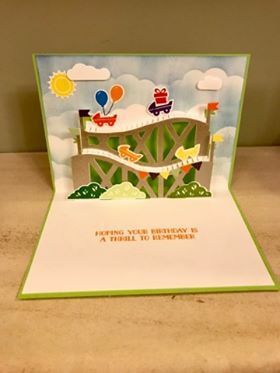 This is my first make, and I have lots of other ideas using different stamp sets. 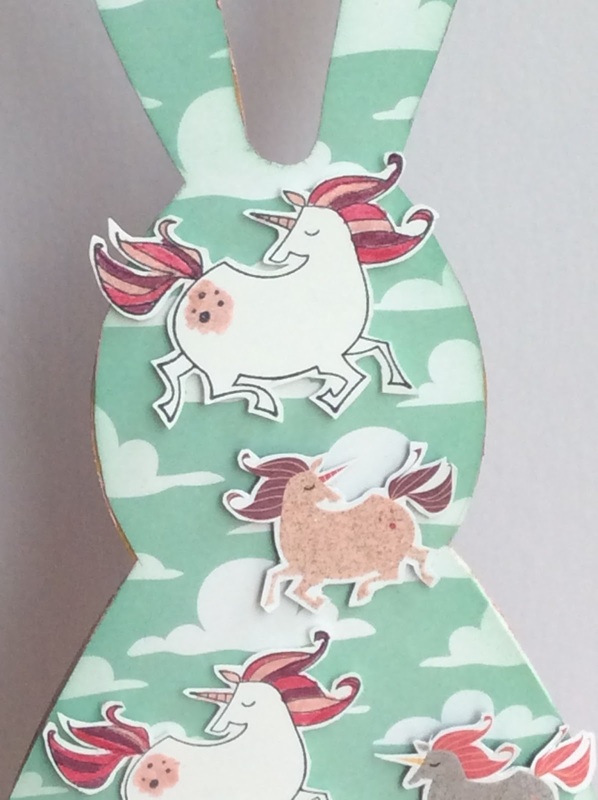 When I ordered the lovely myths and magic paper and stamps I didn't buy the dies so everything here is fussy cut. If these take off I think I will buy the dies! I so loved making this. I have only had one of my customers buy the 'Let the good times roll" stamp set and dies on pg 7 of the Spring Summer catalogue. When I first saw it I thought it would be lovely to make children's birthday cards with but quite fiddly. It is still on my wish list along with quite a few other bits. Her comment was that she ..... love love loved it. Thats a good start. She said that using the die cut and popping it out was much easier than she expected, it was the stamping and die cutting the little bits that took the time. 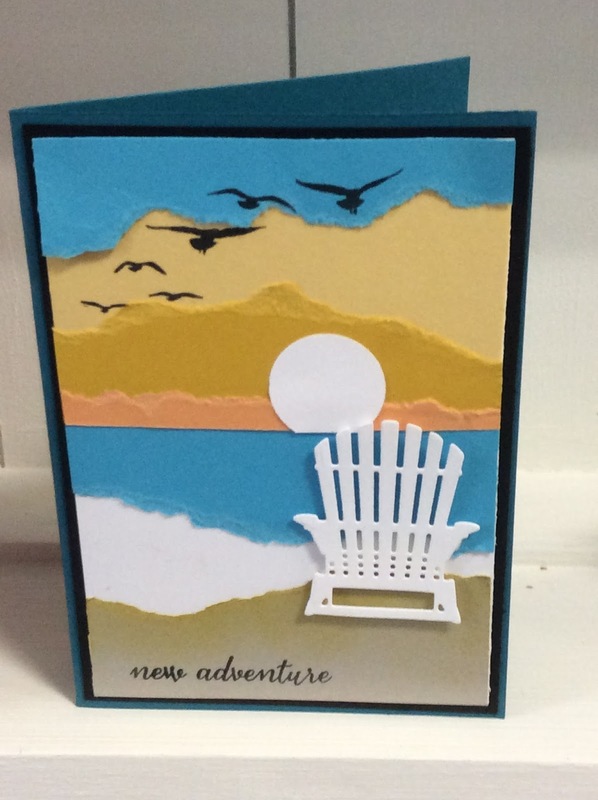 She did recommend stamping the sentiment first before popping out, and adding the clouds too. She would recommend the the set although it does take a while to make, she thinks it would be a good one if you make batches of cards. Thanks to Sam for her pictures and review. Its still on my wish list but getting towards the top. What do you think? If you did fancy buying this bundle of stamps and dies you would only need to add a further few pounds to get a free item from the Sale-a-bration brochure, only 3 weeks left to get the freebies. When you have had a browse and are ready to place your order use the hostess code KSFV7G3Z before you shop. 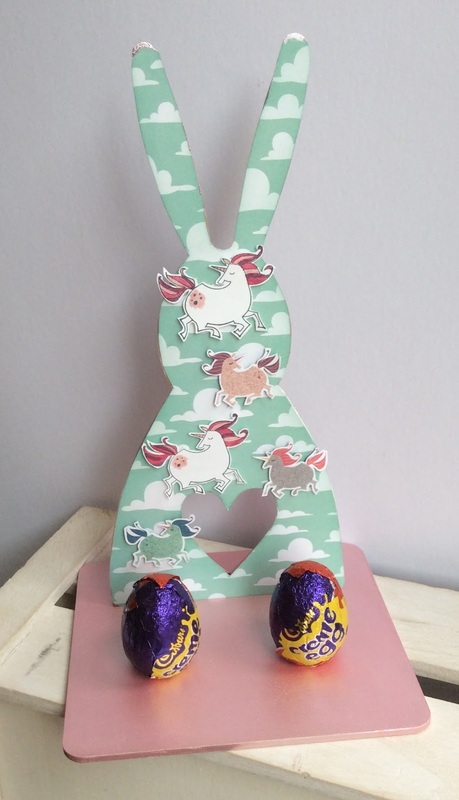 When shopping with me for orders over £30, those who use the hostess code, I will send a card and a gift in the post at the beginning of April as a thank you..... more lovely crafty goodies! Sunday's post will now always be about what is coming up in the studio if the following week and some news about future events. This week sees the return of 'Brusho' Classes. Love these..... messy play. Although I do show you how to use the paint crystals with precision for a neater effect. These classes are on Tuesday afternoon from 1.30 - 3.30 and on Wednesday afternoon 2.00 - 4.00 Pre payment and booking for the Wednesday class is essential see the classes and workshops page. 'Brusho' paint cyrstals are a very fine power that when mixed with water explode with colour. Come a give it try, this might be the start of a new and wonderful hobby. 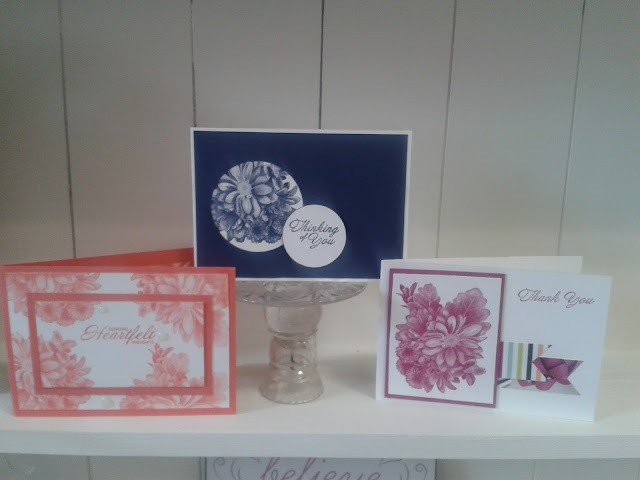 Everyone will have a go with the paint on different types of card, then create three cards with what they have done. 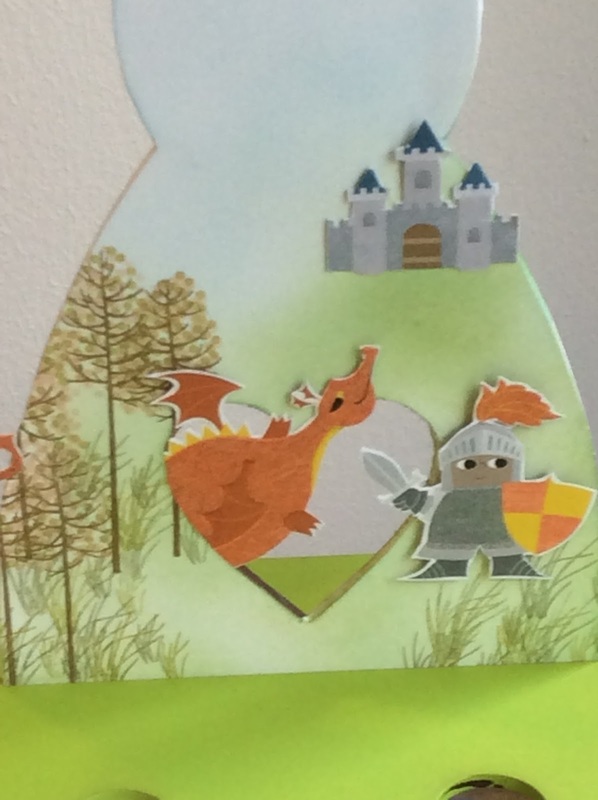 This background for a wizard card is cut from the large sheet of watercoloured paper above. It makes a great background. 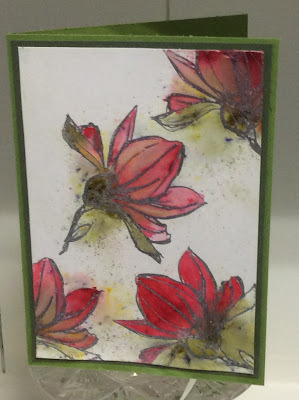 The detail below of the card above shows how you can control the paint crystals and create fine delicate pieces of work. Hope to see you on Tuesday or Wednesday. As a teacher in my former life before crafting took over, running classes, the planning, preparation and the teaching others has never been a problem for me but sometimes I do wonder why people find some of the things in class so difficult. Its that learning process, its diffeent for everyone and if as crafters we never put ourselves in that actually learning from someone else environment its easy to forget what it is like. 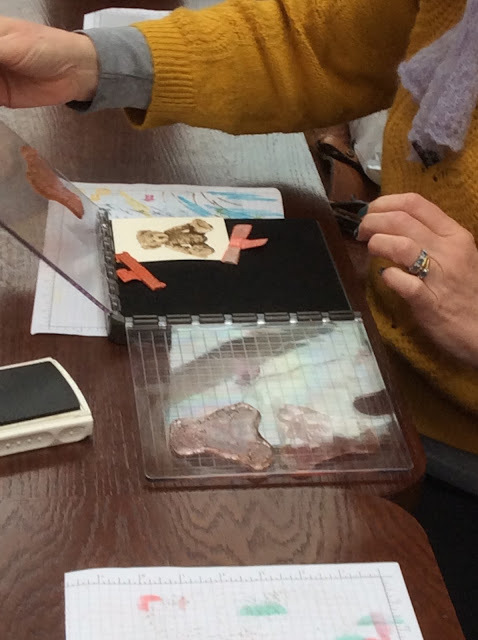 A friend who runs workshops in a nearby town was chatting to me about this, saying that she felt she need to go and refresh some of her skills and learn some new ones but it was difficult time-wise as when you run your own business it is more than a 24/7 job. I felt very much the same and could empathise with this. Some weeks ago something popped up in my newsfeed about #meetthemaker on instagram. Now those of you who are regular readers know of my dinosaur type experience, knowledge about all things IT but I thought I would give it a go.... I lasted a few days as you need pictures every day, I don't know how to schedule and I can't do that but whilst looking at the instagram feed I came across the name of a lady whose classes I have been to a couple of times. She is running an instagram class on embroidery #sew4thesoul I was hooked. 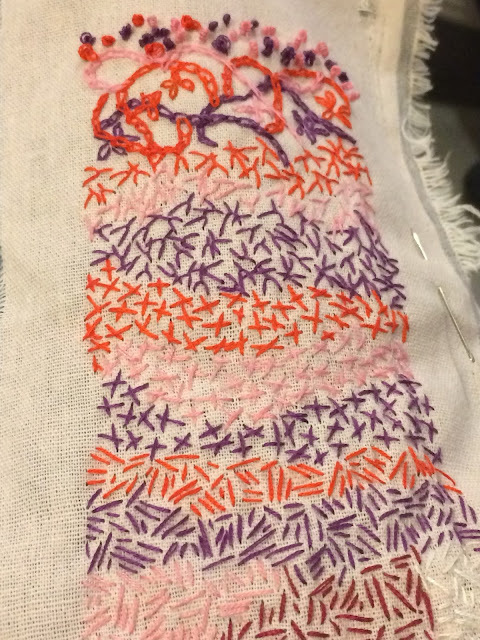 Each week she demonstrates a different stitch, we are now on week 6 and I have kept up!!! I am loving it and find it very relaxing. 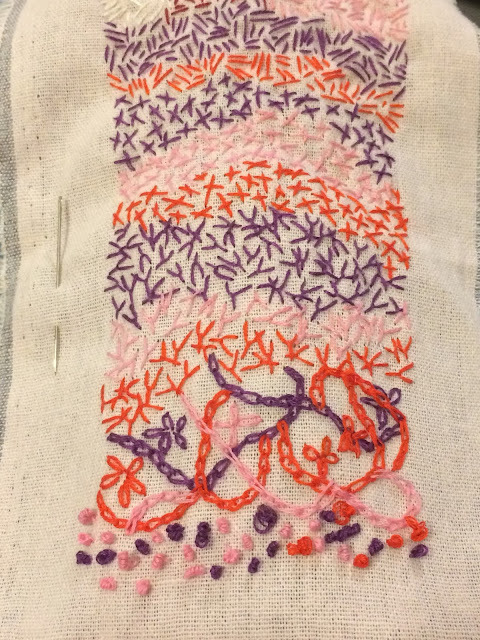 When finished this will be my sample piece then I plan on doing lots of pieces in shades of pink and sewing them altogether to make a quilt. That might be a year or so away but the embroidery will continue. I am learning something new, I have made mistakes and I can't tell you how much I have had to unpick when I have got in a mess. Being in the place of the learner has been good for me. 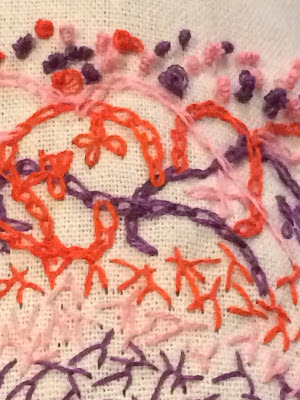 Tonight I have done another three rows of french knots which I feel I have perfected plus blanket stitch which I have only ever done as an edging stitch before. I'm not sure how many stitches there will be but I will update you next month. Whilst I was looking for ideas on pinterest, this was one of my favourite's. It came from Lyssa here. 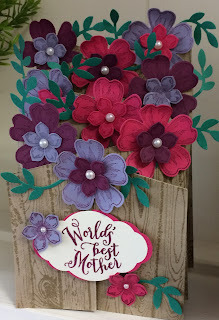 It is so simple and a great way of using the designer paper. I love using torn paper so we made this in class and then I added another one. This time the whole card is made from torn scraps out of my very large scrap box! Ooops its only as I write this that I have realised not all of the turquoise has stuck down properly! 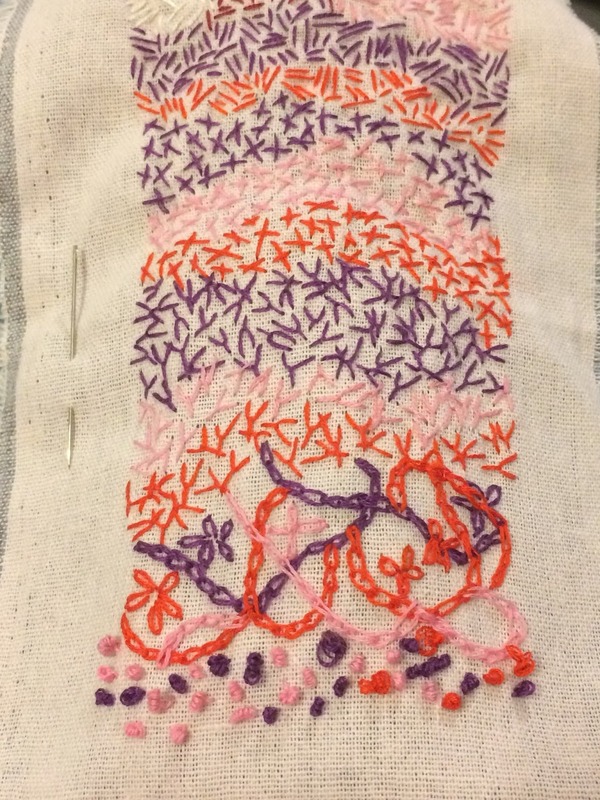 One of the ladies completed this in class the other two ladies took the kits home to make. Box cards and colourful seasons. I always struggle with these box cards. My measurements just don't go right, the angles aren't right angles etc etc...... do you have that problem? I have the colourful seasons stamp set and dies and I haven't used them other than the snowflake dies for christmas so I thought it was time that came out. I had a good trawl through pinterest, there are lots of beautiful makes there but non actually did the trick for me until I found this. 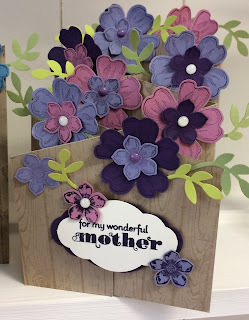 Then I went to you tube and found this shadow box card tutorial It makes making the box so simple. I did find creating the wrap was best left until the box was complete as they all come out a slightly different size! I changed both of them around a little and came up with this. Such a pretty set and it made the Tuesday class group feel like spring was on its way. Tuesday card and a cuppa..... goes stamparatus barmy!!!! Every Tuesday morning at 9.30 there is a collection of ladies in The Secret Cafe on Tenterrfields business park. Usually between 5 and 8 of us. We laugh, we moan, we discuss, but most importantly we craft. This week I took the 'stamparatus'. 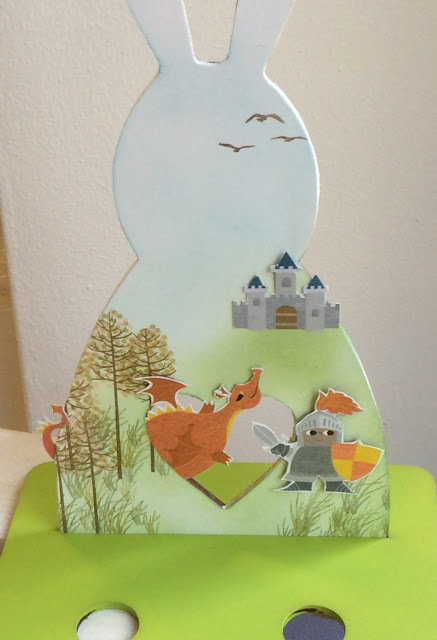 This is the new stamp placement tool from Stampin'Up. It won't be in the catalogue until June although some lucky customers were able to purchase one early. I have had a few trial runs with it, tried a few different style of cards but for the beautiful teddy bear in the main catalogue and I expect the bunny rabbit with the big ears (which I am now going to have to buy), in the spring summer catalogue, the stamparatus is invaluable. I have created the best teddy I have ever done with this placement tool. So I decided to take it to card and a cuppa. The ladies at card and a cuppa are fairly new to stamping and after holidays and bad weather breaks I usually go back to basics but not this week. They were very tentative at first but it was a resounding success. THEY LOVED IT. This is the card we made in both blue and pink. After being snowed in for 4 days I finally got to the studio yesterday. It was a very interesting drive down the drive and we had to leave the car at the bottom and walk up. So cold! Quick picture of the finished cascade cards and a couple of us out and about. Don't they look pretty all lined up. 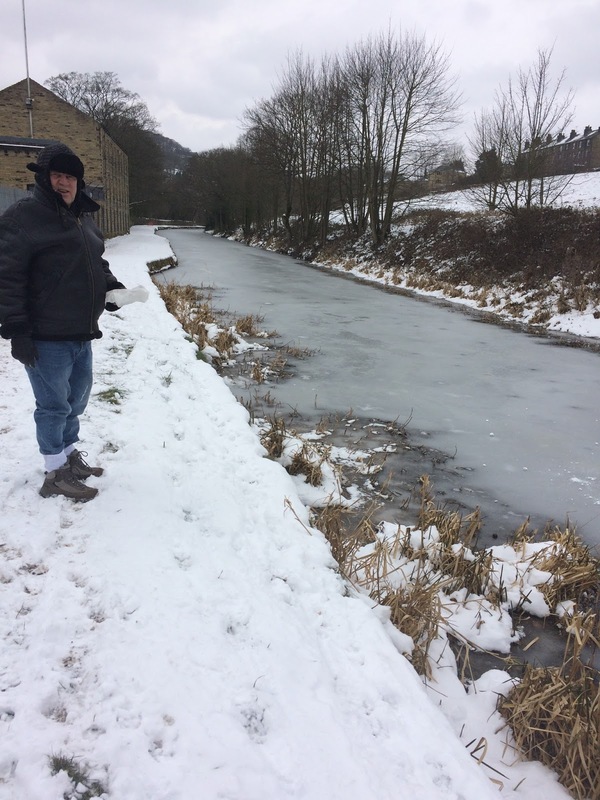 This is the canal frozen solid that runs along the side of the studio and my OH well wrapped! And this is me walking through the drifted snow up the drive! I have seen the wind scrape the fields before but not to the extent it did over the last few days.